“It is a demonstration plant of a concept. And if that concept works we know we’ve got similar geology in many, many other sites across Devon and Cornwall,” said Mr Law. If it works he wants to create more joint direct heat and power generating plants in the region. “To me the big thing about geothermal was always that you have . . . an absolutely low carbon energy source, that enables you to not be dependent on tides, to not be dependent on wind, not to be dependent on day or night in terms of solar,” said Lord Teverson, who chairs the Lords EU energy and environment select committee. 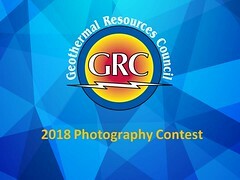 “The big problem, the Achilles heel, is that geothermal itself really can’t afford its exploration risk,” said Tony Bachelor of consultancy GeoScience, which is financially backing GEL.